We met the patient's surrogate decision maker, a young woman named Devon. She was working and in school through Mr. B's illness, and was exhausted and overwhelmed. She told us that Mr. B owned a sailboat that he loved, and that he was independent and stubborn, still smoking up until he was admitted to the hospital, despite his atherosclerosis. She told us that he was a fighter, and she hoped he was going to make a full recovery. However, she realized his condition was very serious, and she said that if he were not going to ever get better, she did not want him to suffer. We listened. And examined the patient. And talked to the surgeons, who were also struggling-- they did not feel good about continuing aggressive measures since Mr. B's chance of recovery was getting slimmer by the day. They worried he was suffering and that they were doing him harm, but they did not know how or when to stop, since every time they asked, Devon opted to keep doing "everything." The surgeons brought us all together as a group to talk, the family and the medical teams. We offered Devon our support, and acknowledged her hope that Mr. B would get better. We gauged her understanding of his critical condition, and provided an update on the dearth of options. We gently told her how sorry we were that Mr. B was dying. We echoed her goal that he not suffer, and recommended that we shift our focus to measures to make him comfortable. We did not provide a menu of options, but rather one course of action that reflected the patient and family's goals, the patient's condition, and a realistic assessment of what our medical interventions could achieve in his situation. When the social worker told me I was "maternalistic" after the meeting, I initially chafed. I had been trained to scorn paternalism, the old school attitude in medicine that "doctor knows best," and that patients don't get a voice. Over the past few decades, there has been a pendulum swing in American medicine toward patient autonomy, the idea that patients have a right to choose what happens to their bodies. Ironically, the first instances of this were patients who did not want the resuscitation that their physicians were bent on providing, and wanted the right to die naturally or at least not be sustained on life support that prolonged death rather than extended life. Now, it seems the challenge is much more often that extraordinary measures are routine practice and patients have come to expect them, and physicians continue to offer "everything" until the patients, or their families on their behalf, decide when to stop. I thought that the social worker was gender-izing the concept of paternalism to be politically correct because I'm a woman, the way you would say "mailwoman" or "congressperson," and casting me in the paternalist lineage. But the more that I thought about it, the more I wondered whether maternalism might be something different and new, and in fact might be just what is needed sometimes-- a place for the pendulum to rest when all options are not equal, and physicians want to communicate a recommendation while also taking the values of the patient and family into account. 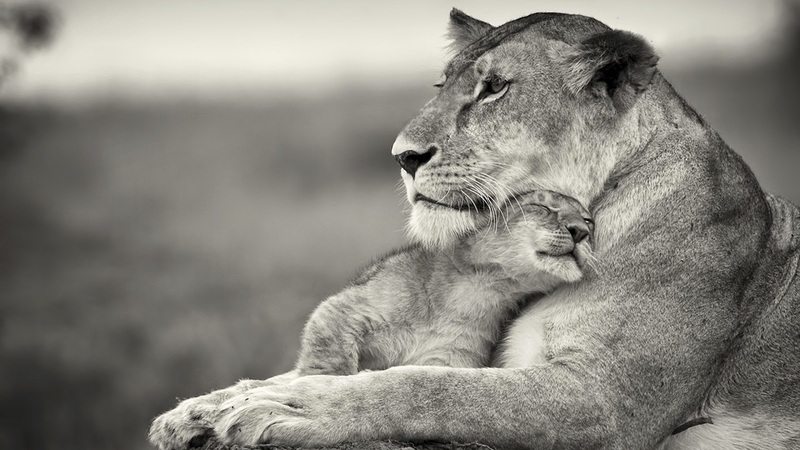 To be maternal is to listen, support, protect, guide. Sometimes it can be just too hard for families to say "enough." They fear feeling like they gave up, or brought about their loved one's death, even though it was the illness that robbed them. A maternalistic doctor might relieve that burden, by recommending a specific course of action rather than providing options and staying on the sidelines, agnostic. But a maternalistic doctor can only make recommendations because she has first listened, and gotten to know the goals and values of her patient, and then added to those to her medical knowledge and experience, much as Sulmasy recommends in his "substituted interests" model of surrogate decision making. Of course, male physicians could be maternalistic too. We rejected the paternalistic doctors of yore not because of their gender, but because they left patient input out of their decisions. The transition to comfort-focused care went smoothly for Mr. B, and he died a few hours later, his loved ones holding his hands, and a nicotine patch on his arm. When Devon hugged me and thanked us for caring for him until the end, I decided to take the maternalism comment as a compliment. I think there is a role for maternalism in end of life care. In fact, I like the term. It is less threatening than paternalism and more in line with what I think we do. Patients and families often do not understand complex issues. Autonomy can only be respected when a concerted effort has been made to tease out all the issues and explain the consequences different decisions(1). I also agree with others who say we have an obligation to respect Autonomy but that Beneficence and Non Maleficence impose on us a greater duty: To do the right thing(2). I consider myself a maternalistic doctor. I think there is much about the practice of Palliative and Hospice medicine that requires a less aggressive, more nurturing, approach. Well said, thoughtful, beautifully reframed!! Turns an irksome comment into a source of pride and good will...ethically apt!